Tamilnadu 12th public exam results for March 2019 to be released by the Directorate of Government Examination on 19-04-2019. 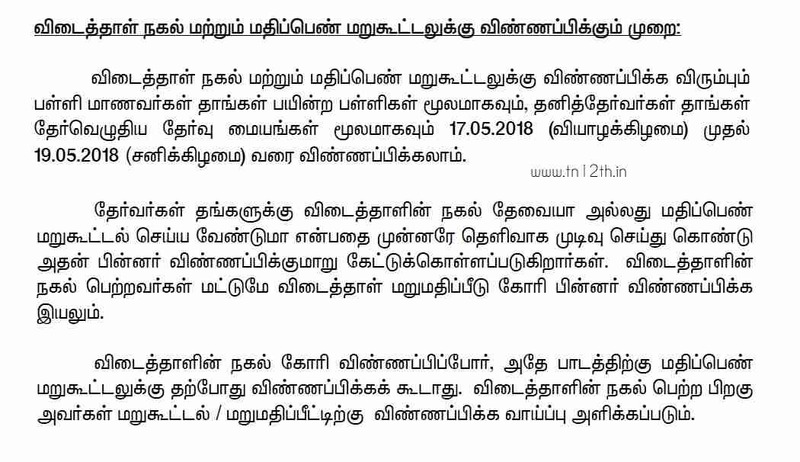 Regular and private students can check your TN HSC Result 2019 by entering your register number and date of birth. Students those who not satisfied with marks can apply for revaluation of your answer sheet by studied school or examination centre for private candidates. All the details about Tamil Nadu plus two exam revaluation procedure has been given below. Students who interested to apply for answer paper scan copy and retotaling can apply. Regular school going students need to submit your TN 12th revaluation application form to your studied school. Private students should apply for HSC retotal / answer sheet Xerox copy only through exam centre where you wrote your +2 public exam March 2019. All the school 12th class students who would like to apply for revaluation, retotal of answer sheet and answer sheet Xerox must apply through their respective schools. Private candidates must apply through exam centres where they attended 12th public exam in March 2019. 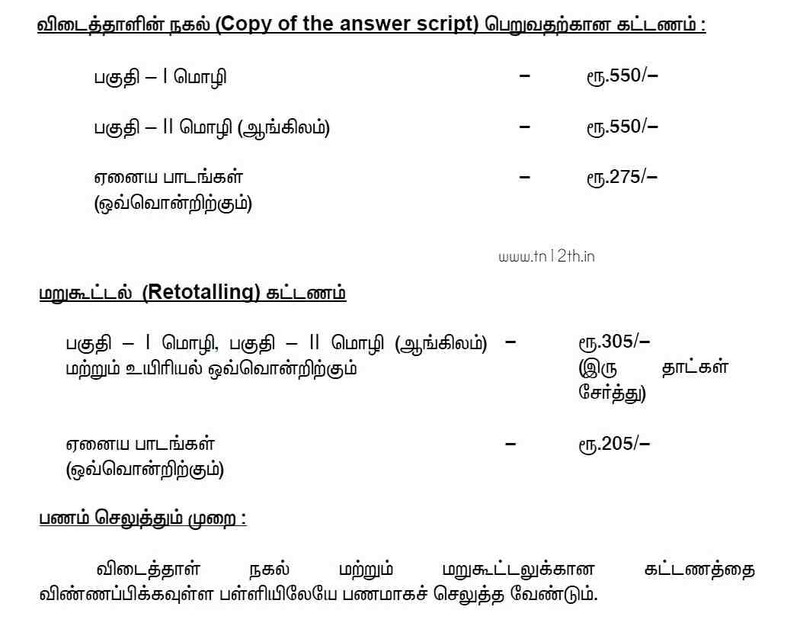 Application form for TN 12th Revaluation and Xerox copy of answer sheet can be submitted from 20-04-2019. You must decide whether you need Xerox copy of answer sheet or retotal of answer sheet before applying. 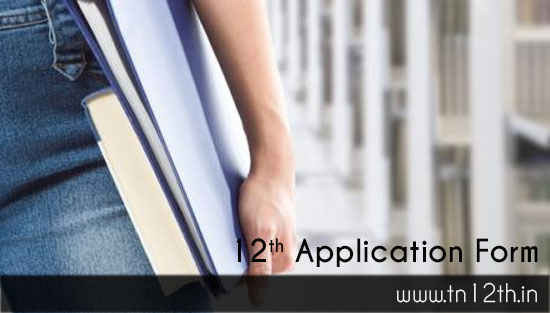 You can apply for 12th revaluation only after you applied and received your answer sheet Xerox. You cannot apply for retotal now, if you would like to apply for Xerox of answer sheet for same the subject. After receiving Xerox copy of answer sheet, you will be given chance to apply for 12th revaluation or mark retoal in the answer sheet. You can pay retotal fee / Xerox fee while submitting application form in cash. You will be given acknowledgement letter with acknowledgment number after successful submission of application form. You need to provide acknowledgement number to download Xerox (copy of the answer script) from internet / official website. Date and Website for downloading answer script copy will be informed later. Before applying for revaluation, students should make sure that are you applying for answer sheet Xerox copy or answer paper retotalling. Those who get answer sheet scan copy are only can able to apply for revaluation. Students who apply for answer script Xerox copy cannot able to apply for retotalling for the same subject now. After you get answer paper copy only you have chance to apply for retotalling / revaluation. What's the exact date of releasing Xerox copy. Date of release of scan copy of answer sheet? When will we can get the scan copies? When will the re-totalling results of std 12 be published on the website? Kindly let me know the date for it . Thanks! Hello. When will the retotalling results of std 12 be released ? when revaluation result will be announced? When will the june hsc exam reevaluation total announcing date?